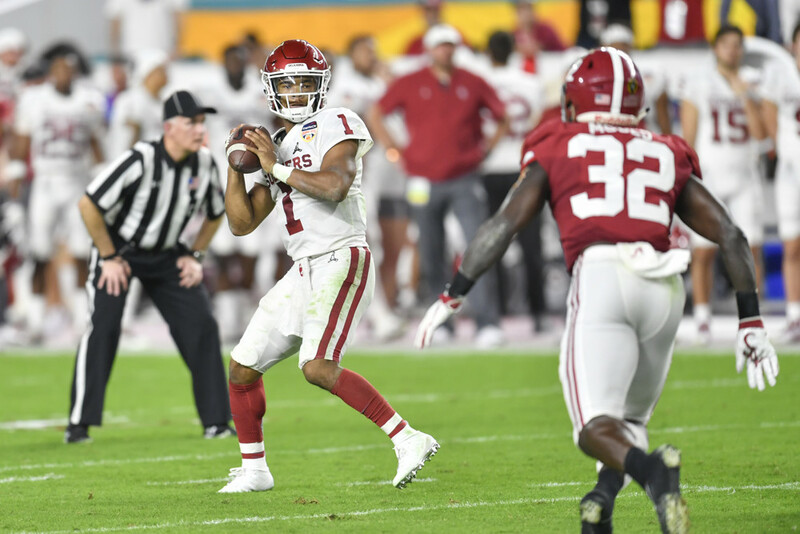 Heisman Trophy winner Kyler Murray is the biggest enigma in the class, and one of the more interesting prospects of the past several years. One of only two college players all time to throw for 4,000 and run for 1,000 yards, Murray has the arm, the speed and the flair to be an all time weapon in the NFL. But can the one year starter read coverages and adjust to non Big 12 defenses? And are NFL teams willing to risk such an early pick on a player that will reshape their entire offense? We shall see. A baseball draft pick as well, Murray is an incredible athlete who doesn’t solely rely on his running ability but has great escapability. The real highlight is his arm though. Murray can absolutely sling it. He has a quick release, throws a catchable ball to all parts of the field and has no issues with the deep pass. He's also great throwing on the run. Finally, tough to quantify, but he has a killer instinct and made demoralizing plays consistently in college whether in late game or 3rd and long situations. It's almost cliché at this point, but Murray's size and durability are real concerns, especially with how he plays the game. There are inexperience concerns as well as he only has one year of quarterbacking under his belt against mostly below average defenses. There are also some mechanical concerns as he maneuvers his pocket where he changes arm angles and leaves his feet too easily. As mentioned, Murray is the most polarizing player in the draft. You either think he is too small and too inexperienced, or you believe he has arm the and the intangibles to overcome his height. I'm on the latter side and think Murray can be a dynamic player in the NFL. Durability is obviously a concern, but I think the myth of the small quarterback is finally dying. Murray is dynamic enough to be a star and worth an early dynasty pick if you need a difference making QB.